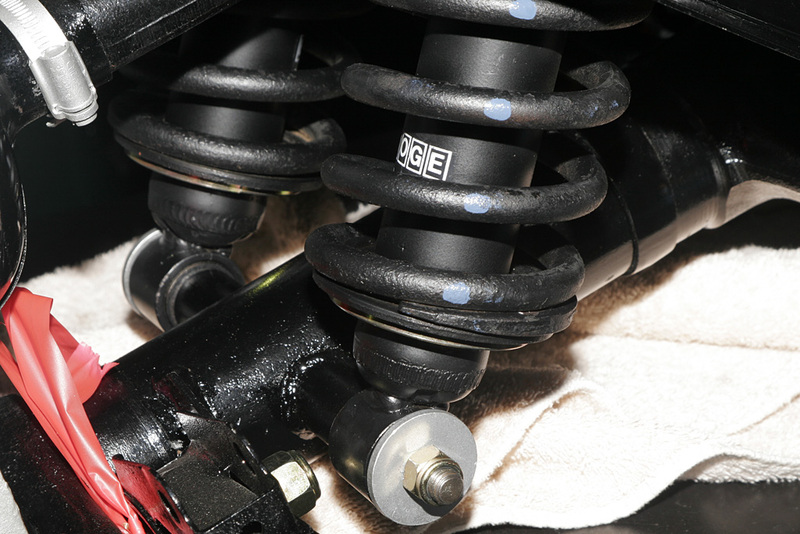 Aside from the engine, the second most time-consuming job is rebuilding the rear suspension. 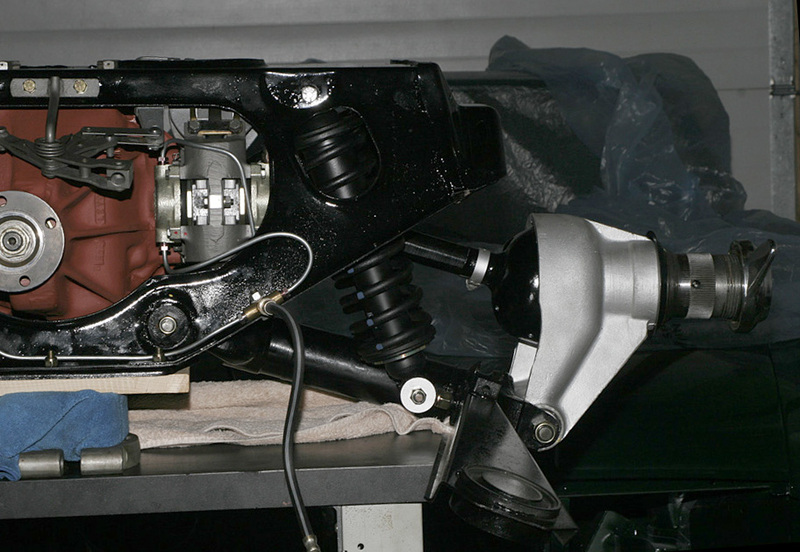 Housed in a single subframe are all the suspension bits: inboard brakes, wheel hubs, half shafts and coil overs. Unique to this setup is the twin-spring damper units which saved space and it also provided a more equal distribution of spring forces which may or may not have been nominal. 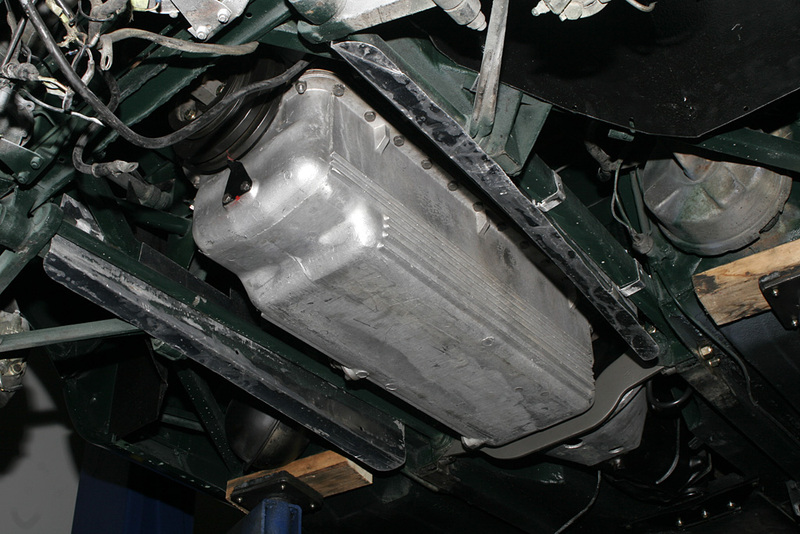 Since work on the brakes and dampers is somewhat hindered, Jaguar chose packaging over maintenance with regard to the rear end. With the transmission in place, the engine was complete enough for the marriage. 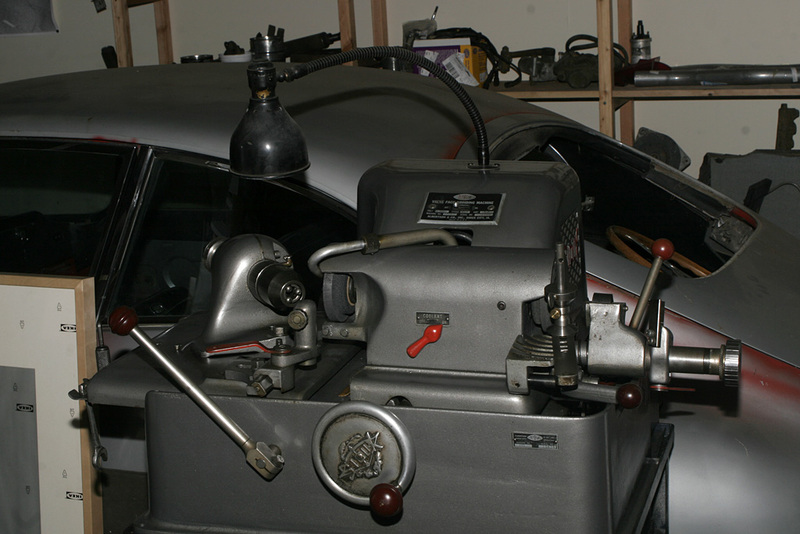 Included is the desirable all-synchromesh four-speed which replaced the Moss gearbox on the earlier 3.8-liter cars. Unlike the factory which dropped the engine in with the hood up, we opted to lower the car and raise it with a cherry-picker. Unique to the E-Type is the aluminum oil pan which is virtually unobtainable unless sourced from another car. The unit appears to be cast in three pieces then welded from the factory. Our’s had a think inch of sludge below the baffles which is typical of an engine which hasn’t been apart in a long time. One of the most distinguishing features of the Jaguar XK engine is it’s DOHC camshafts which allows for an optimal combustion chamber shape and better flow from the intake to the exhaust. 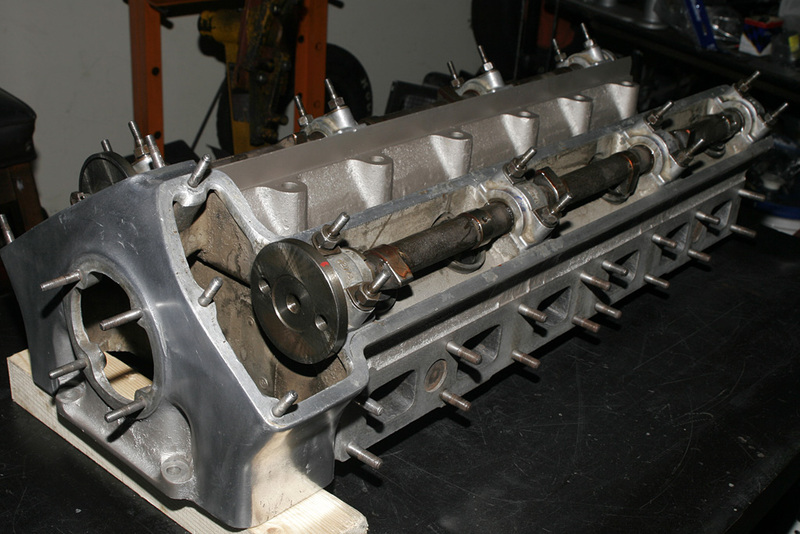 The first step was to get the cylinder head off which corrodes slightly where the aluminum head meets the cast iron block which can be avoided with anticorrosion in fresh antifreeze. After a good clean, work on the valves, seats and stems is critical for the rebuilt. 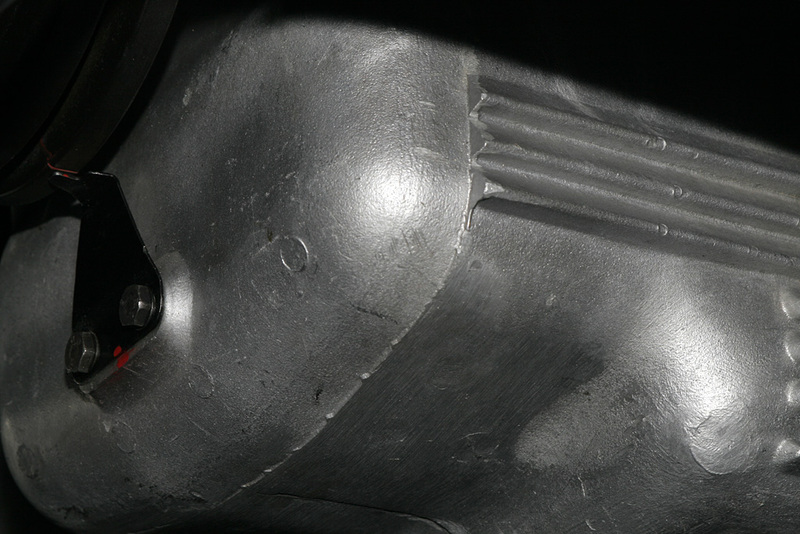 In our case both valve surfaces had to be reground to ensure an optimal seal in the chamber, but the stems were great which is a good sign that the engine has never overheated. 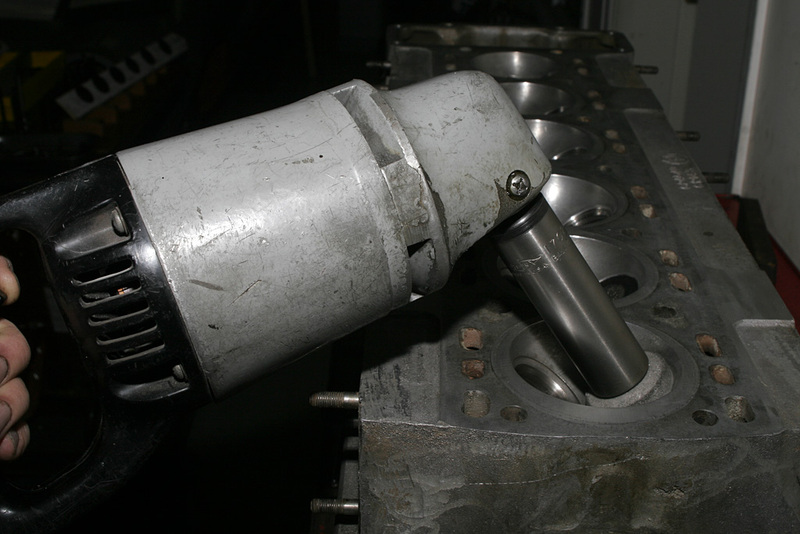 The valve seats were ground with a special stone attached to a canted drill and the valves themselves were reground in the refacer machine. The clearances are set with shims on the top of the valve stem. 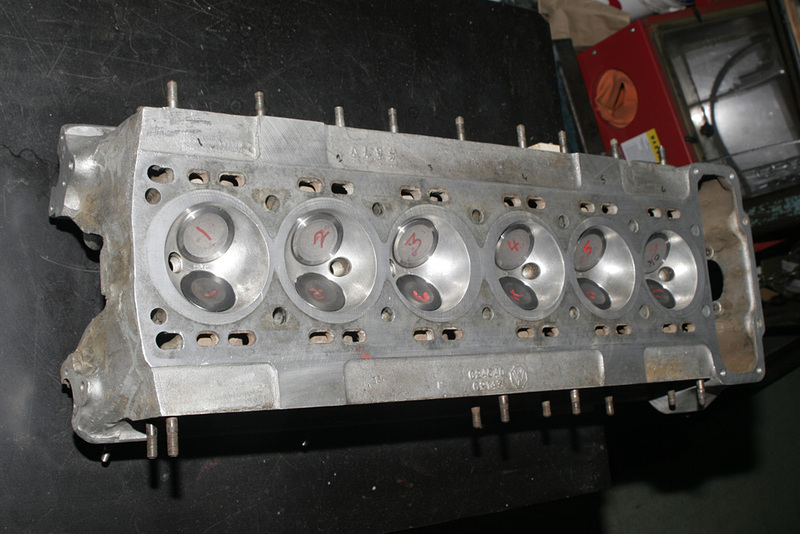 Made from aluminum, the cylinder head was fitt onto the cast-iron block while the block was already in the car. 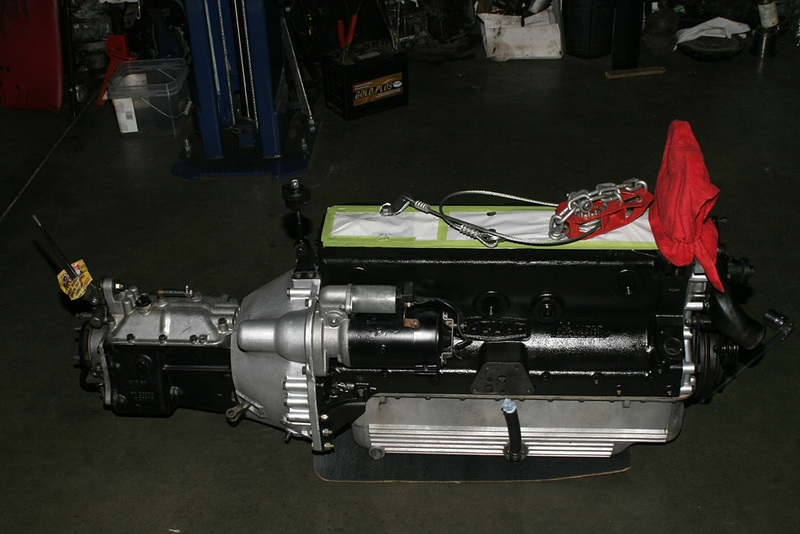 It weighed 60 lbs before the valvetrain was fitted so a hoist was necessary with the front hood tilted forward. 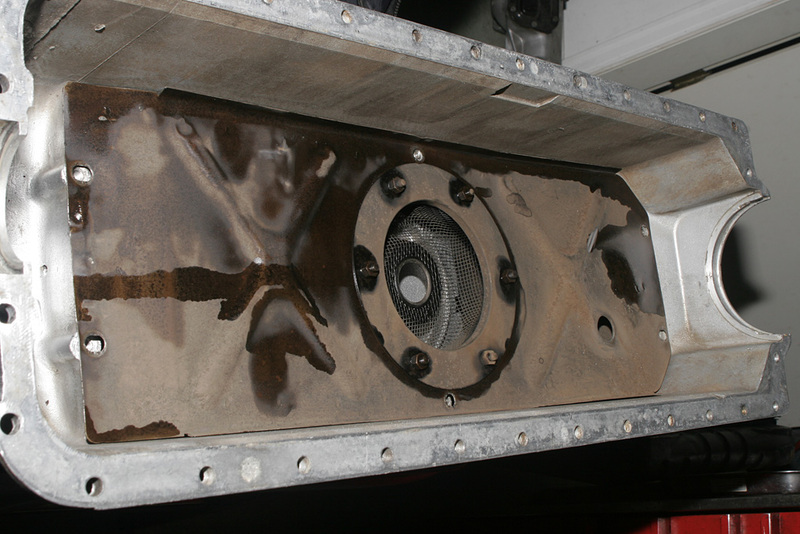 Hylomar sealer was used to seal the gasket to the block and head and limit corrosion. 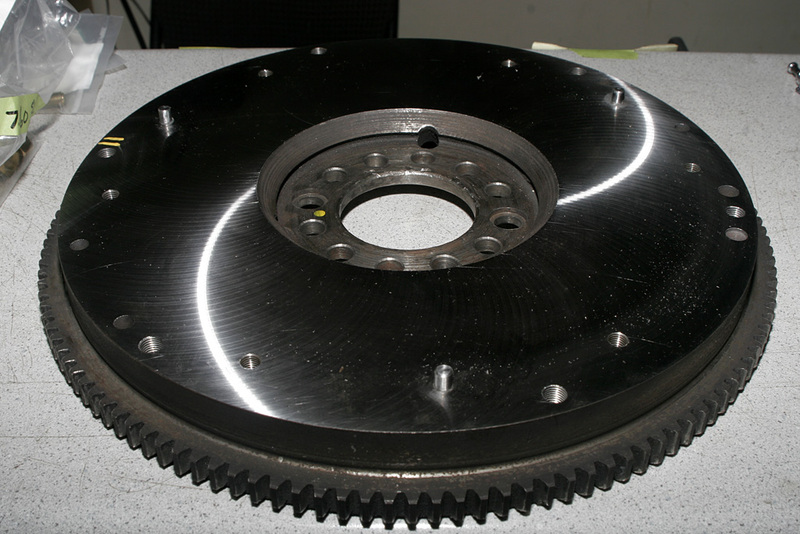 Naturally a new clutch was ordered and was sent away to be balanced as a single unit with the flywheel. Since the inline-6 has inherent primary and secondary mechanical balance, the flywheel doesn’t need to be exceptionally large as in a V8 or inline-4. 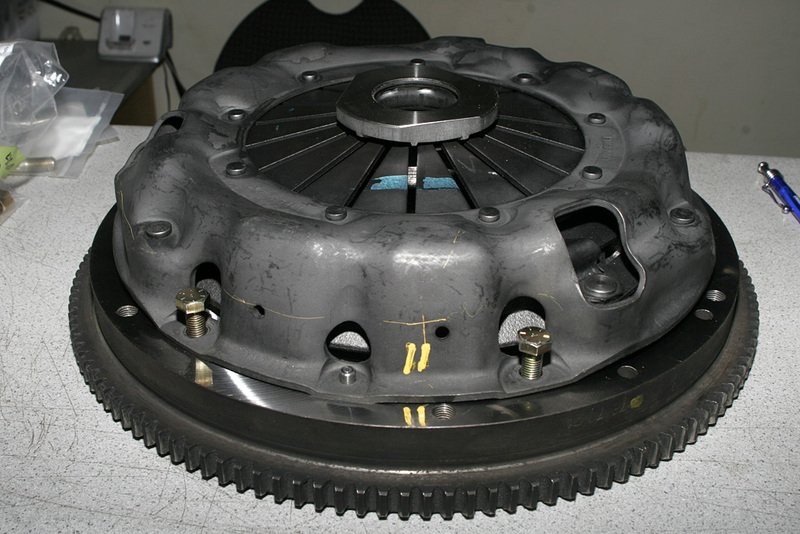 The total weight of the standard flywheel and clutch is 40 lbs. 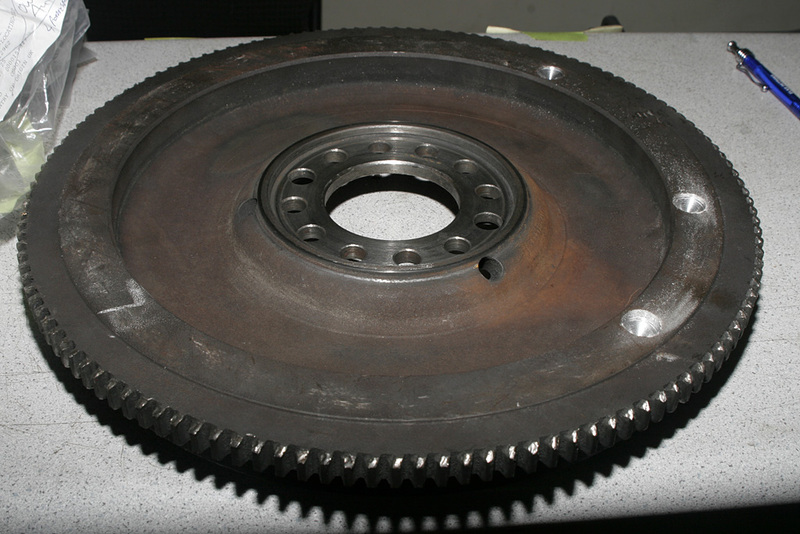 Made from a single piece of steel (instead of cast iron), the ring gear is integrated into the flywheel and gives Jaguar engines a distinct ring noise on start. Unfortunately this also means it can not be repaired easily if there is tooth wear from the starter. If a tooth breaks or there is a trouble spot, the Jaguar manual says to replace the entire unit. Another fix is to machine the entire ring gear off and have a modern replacement shrunk on. 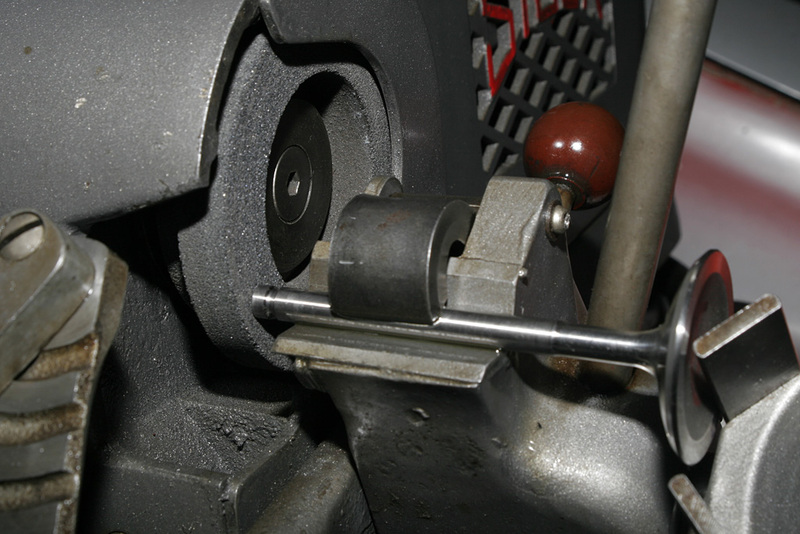 The flywheel has drill holes where the machine shop removed weight from the flywheel to ensure a better rotational balance at all rpms. 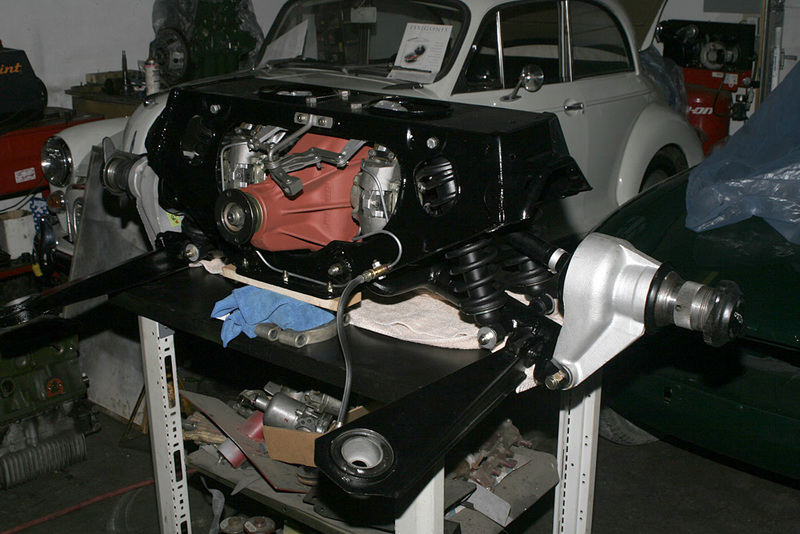 With the crankshaft and distributor mounts in place, the next step was to install the pistons & conrods. 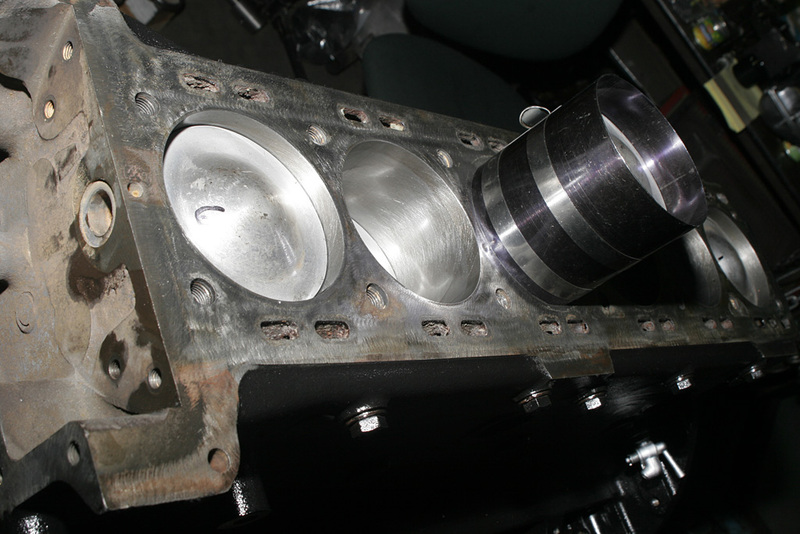 For comparison we show one of the high-compression 9.0:1 pistons used for the E-Type and the 8.0:1 used on the saloon cars. 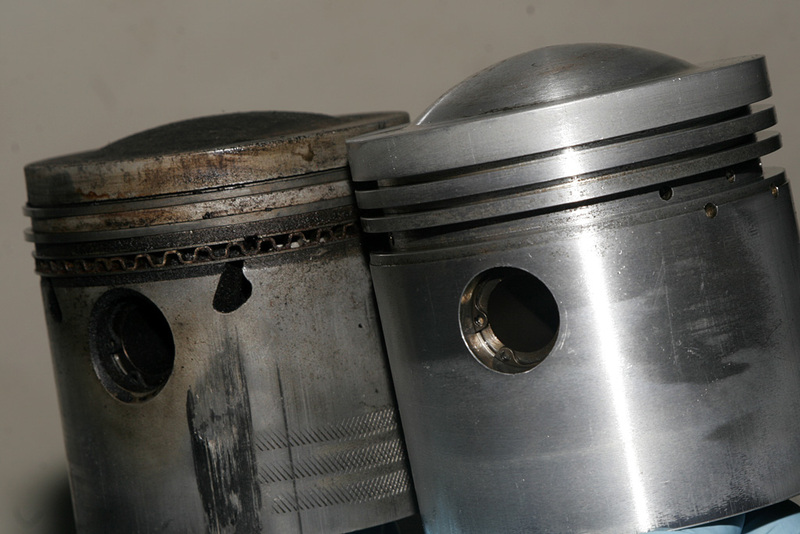 The carbon buildup on the dirty piston is typical of oil burning and rich mixtures in the chamber. In extreme cases this can build up, increase compression and cause detonation. The pistons and rods looked to be in good shape but some elementary mistakes were made during the last build. 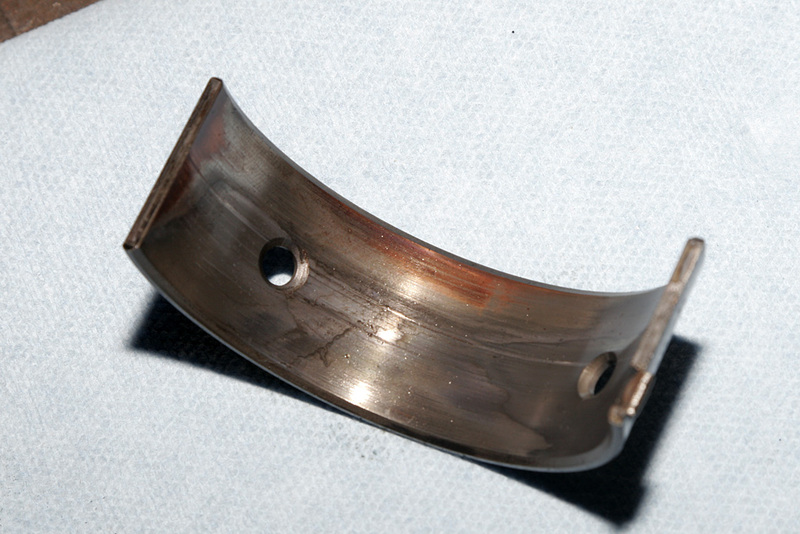 For instance the gaps in the piston rings were lined up which increases chance of blow by. In the manual jaguar recommends to replace all the connecting rod bolts. Below is one of the new bearings and an old one that is indicative of problems that can arise if oil is not changed regularly. Near the oil supply hole, a rigid line was carved out of the bearing from particulates in the oil. Such a scenario can increase heat and create resistance. 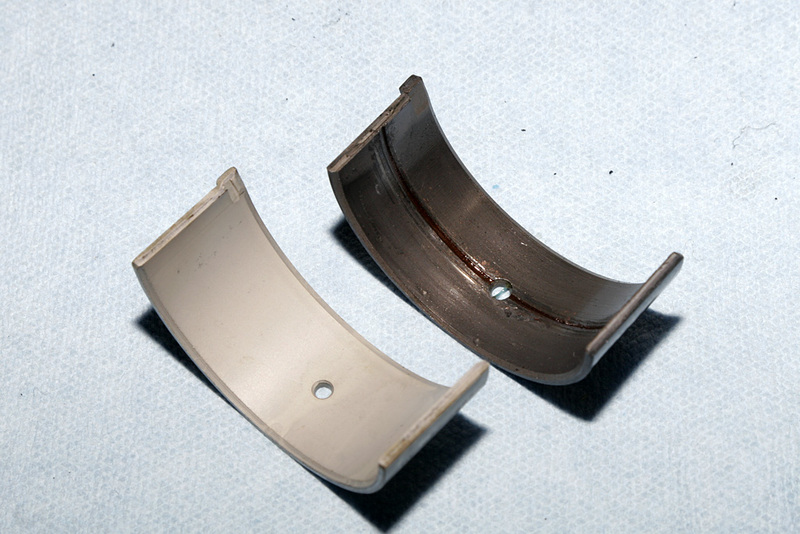 The last bearing shows typical wear on a main bearing. 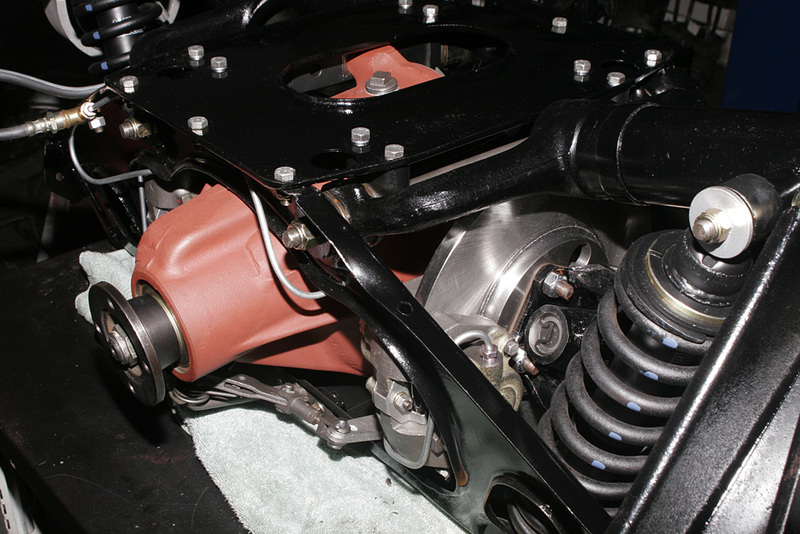 The last step was to check all the ring gaps and install the pistons using a ring compressor .